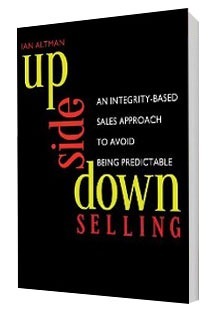 Discover Ian Altman’s best selling books, Upside Down Selling and Same Side Selling. Ian shares proven methods to grow sales. 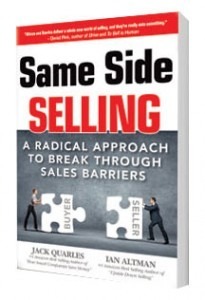 Same Side Selling gives practical steps to break through sales barriers and turn confrontation into cooperation. Sellers that implement the Same Side Selling approach will be seen as a valuable resource, not a predatory peddler. Upside-Down Selling takes just about everything you know about the selling process and turns it on its ear – upside-down if you will. With Upside-Down Selling, you’ll quickly realize that your greatest growth potential is sitting right under your nose.